Nürburgring Nordschleife is the most popular race track for using our KW Clubsport suspension kits. High performance sports cars, modified saloons as well as classical sport compact cars are tuned in weight, engine and wheels for their use on several race tracks. These improvements are made for a better handling on track sport events, race taxi drives, visitor drives and equability tests particularly on the Nürburgring Nordschleife. Due to these modifications of the car some parameters are changing. Therefore, the road setups are no longer ideal for the performance of the car. 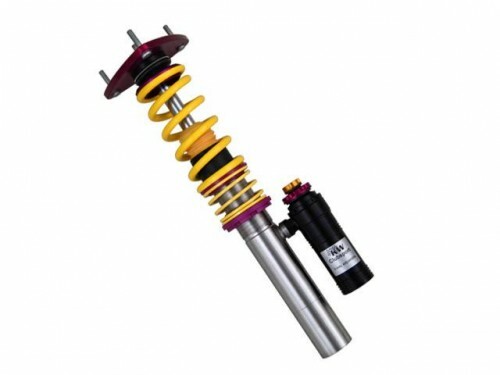 For this use we offer special clubsport kits which have been adapted to the changed requirements by changing spring and shock setup as well as the installation of racing top mounts.